Today’s recipe was a special request by Spud (my 5 year old). He found the book Stone Soup on our bookshelf and got so excited about his “recipe book”! 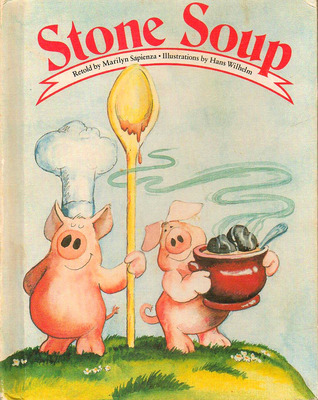 So we decided to make stone soup, exactly as it was written in our copy of stone soup. 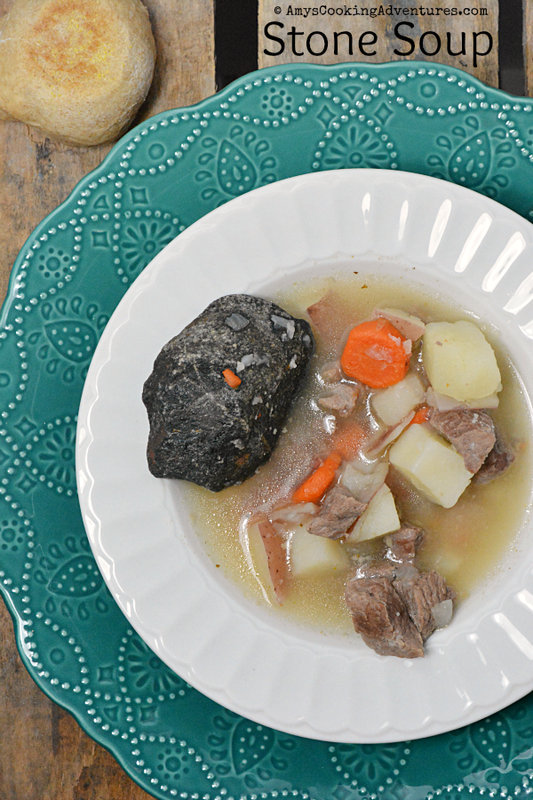 RECIPE FOR STONE SOUP Heat some water in a pot.Add some stone you’ve scrubbed a lot. Sprinkle pepper, salt, and herbs.Let it boil undisturbed. Drop in carrots, onions too.Let the soup heat through and through. Stir in milk to make it sweet.Add potatoes for a treat. Toss in meat cubes. Let it stew.Let it bubble. Let it brew. Taste the soup and when it’s done,Share Stone Soup with everyone! And here is our interpretation of the recipe! Heat the water in a soup pot. Add the stones and all of the remaining ingredients (add more water to cover, if necessary). Bring to a boil. Then, reduce heat to a simmer and cook, uncovered, for 1 hour or until the meat and potatoes are tender. Serve, taking care to remove stones and bay leaf before serving.